Life as an entrepreneur is never straight forward. You may feel as though you are constantly moving from one challenge to the next. This is especially likely if you are in the early stages of establishing your luxury brand. In a competitive market, it can be difficult to stand out from your competitors and to attract a loyal following. However, even when you have finally achieved success, the challenge is not over. There are still plenty of hurdles that you will have to face and important decisions that you will need to make. That is why you should plan ahead and find services that will help you to stay on top. Below are five contacts that every luxury brand should have. Once your business begins to bring in an impressive profit, it is even more important that you are effectively managing your finances. That is why you should seriously consider hiring an accountant. This will help you to prepare for you taxes and to avoid any expensive fines. It will also give you the opportunity to establish a lucrative investment portfolio and to improve your company finances even further. If you have managed to secure an impressive reputation for your luxury brand, it is likely that you will receive even more applications for your vacant positions. To find the right person for the job, you will need to reach out to a recruitment agency. They will help you to sort through your candidates and to conduct your interview process effectively. They could also help you to reach out to candidates that are already in employment and to entice them over to your operation. If you are an innovative thinker, you need to ensure your intellectual property is well protected. You may have concerns that your business’s data has been used illicitly, in which case it is imperative that you identify who, what, where and how this confidence has been breached; a computer forensic company will provide you with the answers. 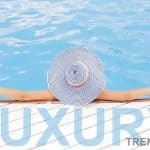 As a luxury brand, exclusivity is key, so you need to make sure that no one else is benefiting from your unique marketing strategy, your product ideas, or your branding concepts. Any lucrative business is at threat from outside forces that are looking to make a quick buck. That is why you should find the contact details of a trustworthy legal team. They can be on standby to confirm that any contracts you are entering into are of benefit to your business, or represent you if you are ever faced with a law suit. You can also carry out damage control by finding the contact information of a public relations agency. This will help you to spring into action if anything should threaten the reputation of your business. If you are going to protect your customers and keep your business up and running, it is vital that you act quickly to resolve any issues. The right public relations agency will also help you to create a buzz around your luxury brand and to generate positive publicity stories. Info sourced by the author for luxuryactivist.com. All content is copyrighted with no reproduction rights available. Images are for illustration purposes only. Why should luxury brands embrace e-Business? Friday Chronicles #27 – Top 4 luxury trends that you better watch out. Luxury Digital Strategy – 2 days workshop in Paris. Register now. Programmatic – a new reality in Digital advertising for luxury brands.